Clare is a partner in the commercial property team. Clare is experienced in all aspects of commercial property law and has extensive experience in acting for a variety of clients in connection with acquisitions and disposals, property management work (including landlord and tenant), development work, real estate finance and corporate support. Clare specialises in real estate finance with particular emphasis on investment and development funding. 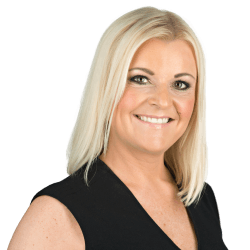 Clare advises clearing and private banks, building societies, specialist lenders and borrowers (both corporate and individual) on all aspects of lending transactions. Public sector client in relation to a number of development matters (including joint ventures, overage and options) utilising its existing assets to drive value for the business. Public sector client on the disposal (subject to overage) of a substantial property portfolio which became surplus to requirement. Leading developers in connection with various sites acquired for residential development purposes. Specialist care home developer on numerous acquisitions. Landowner in relation to negotiation of the grant of an option and lease for a proposed solar energy farm. Major lenders with a view to charging properties in connection with loan facilities provided to investors. Private (including international retail clients) and public sector clients dealing with the management of various property portfolios.